And with seduction, either you convert and change your life or you try to compromise: but a little here and a little there, a little here and a little there. “Yes, yes, I follow the Lord, but I like this seduction, but just a little...” And you’re starting to lead a double Christian life. To use the word of the great Elijah to the people of Israel at that moment: “You limp from both legs”. To limp from both legs, without having one set firmly. It is the life of compromise: “Yes, I am a Christian, I follow the Lord, yes, but I let this in...”. And this is what the lukewarm are like, those who always compromise: Christians of compromise. We, too, often do this: compromise. Even when the Lord lets us know the path, even with the commandments, also with the inspiration of the Holy Spirit, but I prefer something else, and I try to find a way to go down two tracks, limping on both legs. 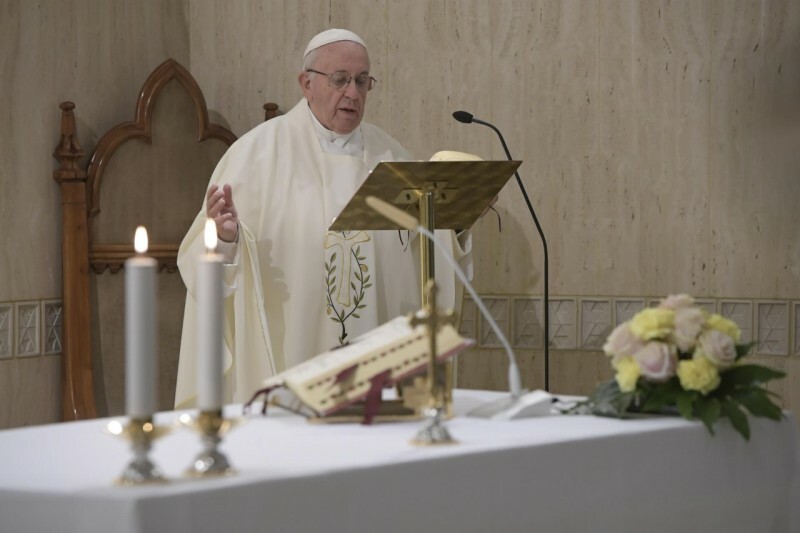 The Pope concludes, “may the Holy Spirit, therefore, enlighten us so that no one may have a perverse heart: a hard heart, which will lead you to faintheartedness; a stubborn heart that will lead you to rebellion, that will lead you to ideology; a heart that is seduced, a slave to seduction”.